The research into the effects of yoga on lower back pain is in its infancy but people have been practicing yoga and experiencing the physical and mental benefits for thousands of years (4). 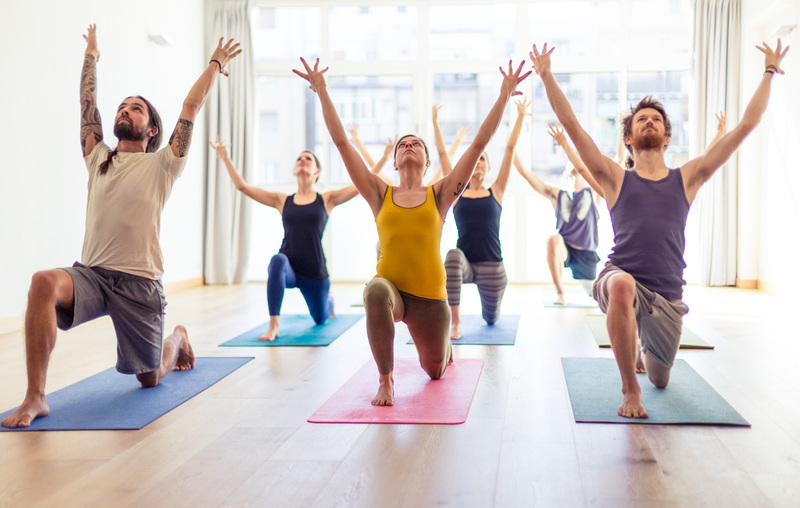 More recently yoga has generated interest among the general public and scientific community as an alternative for a variety of chronic health conditions, including chronic pain. Since yoga includes physical postures, breathing techniques, relaxation and meditation, there is a natural appeal for its use in the treatment of chronic lower back pain. A study conducted in 2005, compared the effects of viniyoga with conventional exercise or lower back pain self care, in a population of patients with uncomplicated lower back pain (3). The participants in the yoga group practiced 1 yoga class that was specifically designed for chronic low back pain, once per week for 12 weeks (3). The exercise group participated in 12 sessions of education and exercises designed for chronic low back pain by a physiotherapist (3). At 12 and 26 weeks the yoga group showed clinically significant improvements in functional status, disability scores and medication use (3). The results of a review conducted by Holtzman & Beggs (2013) found that hatha, viniyoga and iyangar yoga compared to exercise, education or nothing, improved patient pain and functional disability in the short-term (1). Another study allocated chronic low back patients (average 10 years) to groups that participated in yoga or groups that did not (control group) (5). Patients participated in one 75-minute class for 12 weeks and were given home practice sheets and a guided meditation cd (5). At 3 and 6 months the yoga groups had better back function and higher pain self-efficacy scores vs. the control groups who continued with their regular routine (5). Prone Savasana (lying face down). Supta savasana (lying face up). Unfortunately most of the research has been conducted using only a few types of yoga styles. Iyengar, Hatha and viniyoga were the most common methods used in the studies and are gentler forms of yoga compared to classes like Flow, Power, Bikram’s & Vinyasa. These styles may be too vigorous for patients with back pain who are unfamiliar or new to yoga. In many of the studies even the hatha and viniyoga classes were modified from normal practice to be more specific for those with back pain. 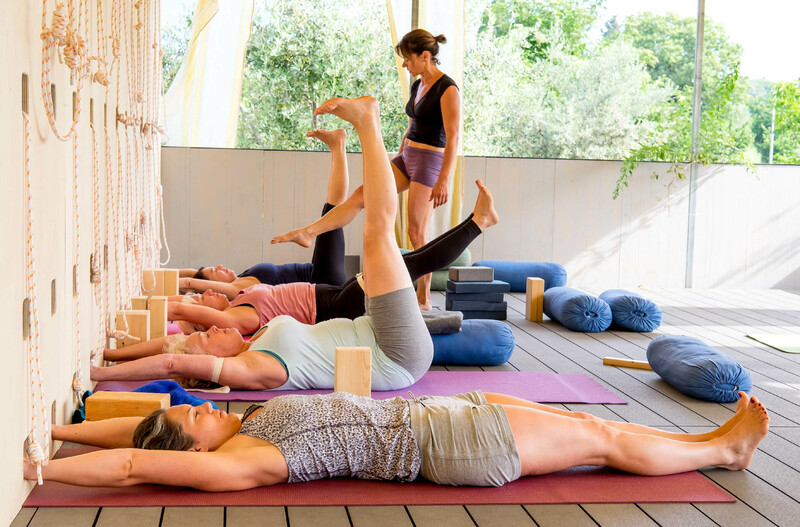 Iyengar yoga is also a type of therapeutic yoga and participants are individually screened and assessed before starting a program that is specifically tailored to them and their injury (4). Many of the studies had small sample sizes and lacked long-term follow up so these are things that could be improved upon in future research. Most of the studies also excluded patients with complicated lower back pain (disc related pain, sciatica, pregnancy, post-surgery, cancer) therefore the research has not established benefit or safety of yoga for these populations of low back pain patients. The problem with generalizing a specific treatment (such as yoga) to something as complex as low back pain is just that- it is a generalization. As stated above, the research has it’s flaws and really only looked at specific types of yoga therapy in relation to uncomplicated cases of lower back pain (back pain that usually involves the joints, muscles, ligaments or tendons). None of the studies looked specifically at patients with disogenic lower back pain with or without neurological symptoms. If you have a disc herniation or disc bulge some of the poses in yoga will likely be aggravating and could lead to further injury. Injured discs and inflamed nerves do not like flexion, rotation or long-hold neural stretching – all of which are a large part of most yoga classes (forward bends, toe touches, hamstring stretching, spinal twists etc.). To complicate things further, if you personally have lower back pain it’s nearly impossible to properly self-diagnose and figure out which category you fall into. You may think that you have basic uncomplicated back pain due to tight muscles or stiff joints. In reality you may actually have disc related pain, which could be aggravated by various poses/postures in yoga. Alternately you may have pain that radiates down the back of the thigh and believe that you have a disc herniation. However, that radiating pain may be coming from the SI joint, gluteal muscles, or lumbar facet joints and yoga may be quite beneficial for you. Again this is why generalizations are difficult to make and why self-diagnosis and self-treatment is typically a bad idea. The good news is that if you do have lower back pain that’s joint/muscle related MOST forms of yoga would likely be of great benefit to you. Many yoga poses involve thoracic extension, rotation, hip opening, balance and core strengthening (to name a few), all of which are so important for spinal health. In addition to the physical benefits of yoga the mental benefits are equally as valuable. Although westerners often think of yoga as a form of exercise, the practice of yoga places just as much emphasis on mental focus as it does on the physical movements. It also considers the breath, which links the mind and body. The whole practice of yoga is a form of meditation and can be very powerful for healing. When we have chronic pain, over time our nervous system will adapt and become more efficient at sending pain signals. The longer that we are in pain, the more likely we are to develop fears surrounding our pain, which lead to pain hyper vigilance and avoidance of activity. Yoga has the ability to help patients break out of this painful and fear avoidant cycle. If you suffer from lower back pain and are interested in yoga as a treatment option OR you currently already practice yoga and are wondering if it’s safe to continue, make sure to get your spine assessed before you move forward. A chiropractor will be able to specifically diagnose the cause of your back pain and provide the appropriate treatment and recommendations. With any form of exercise it’s always important to listen to your body and not to push yourself through acute pain or discomfort. Iyengar yoga places emphasis on yoga students learning to use their judgment to discriminate between healthy and unhealthy pain (4). It also places emphasis on active postures, which require students to isometrically contract their muscles in various postures (4). This is an important point because flexibility and strength are both equally important components of developing and maintaining joint and tissue health. A good teacher will tell you to remain active and contract/squeeze your muscles in certain poses, which will increase the physical benefit of yoga immensely. If you suffer from chronic pain yoga is a great way to decrease stress and to help the nervous system relax, which can ultimately help to decrease pain signals which are patterned into the nervous system after pain has become chronic. Dr. Amy Wiggins is trained in Hatha yoga and incorporates yoga rehabilitative exercise into the treatment plans of all of her patients. She also offers 1-hour private yoga therapy sessions which incorporate yoga postures, stretches, exercises and hands-on therapy so that patients with various injuries can experience the benefits of therapy and yoga combined.